Combining veneer elegance with modular format versatility. Premium-grade veneers and solid woods are fine finished, with durability suited to everyday commercial applications. Solid wood edge with a distinctive reeded profile. Two grommet holes for convenient cable management. Use with Return Shell to create an "L" grouping, or combine with Bridge Shell and Credenza Shell to form a full "U" workstation. 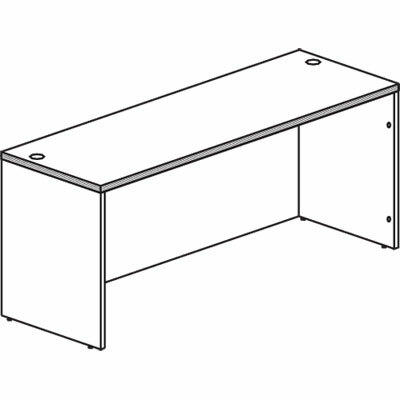 For Use With To complete a "U" workstation, you must order all three: desk shell, reversible bridge shell and return or credenza shell.